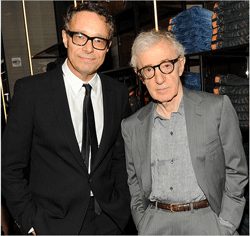 The September 24, HUGO BOSS hosted a celebration at the new BOSS Flagship Store at The Shops at Columbus Circle. Opening Spring 2014, The Gainsborough Bath Spa exclusively offers the only natural thermal spa within a hotel in the United Kingdom. Keystone to the geographic heart of Bath, the hotel is a moment’s stroll from Bath Abbey.